sweeping gas (inert, oxidizing, reducing, wet, pressure) and flow rate. 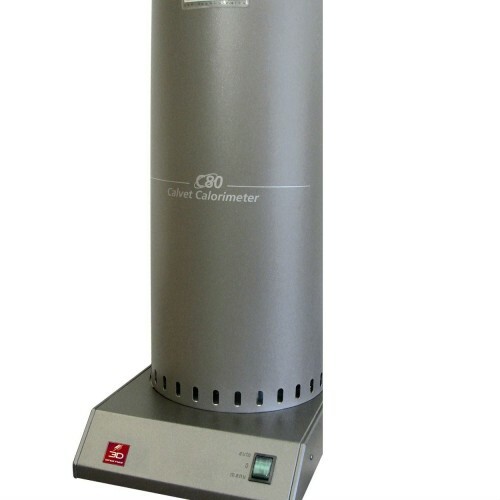 DSC measurement under High Pressure: two models of sealed “High Pressure”. 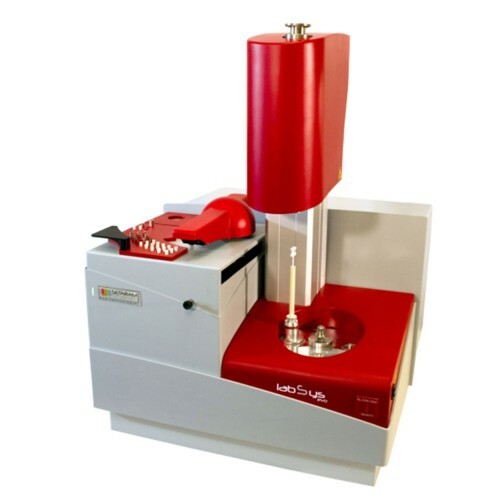 Crucibles are available in which only the sample and not the sensor is pressurized, thus allowing for the calibration, baseline and sensitivity to remain unchanged. 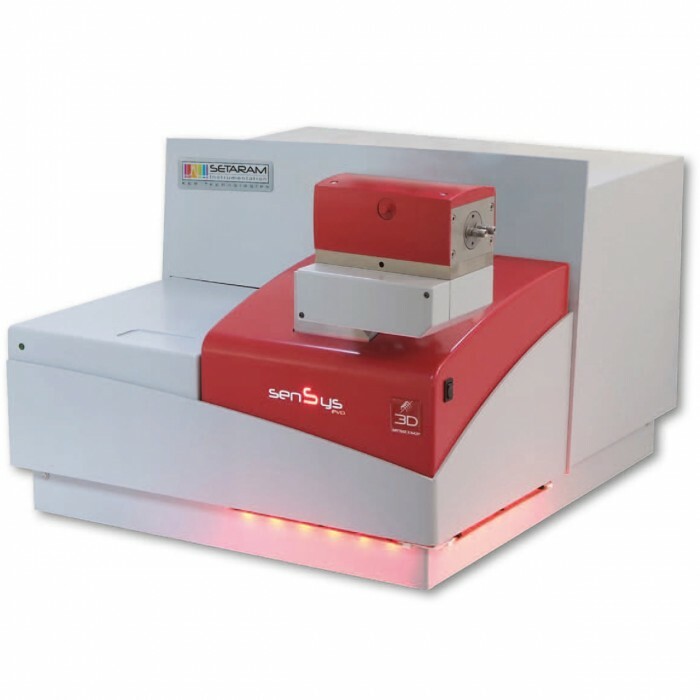 Robotic System: from routine QC to the determination of a complex formulation within R&D, a robotic autosampler is the ideal solution when high sample throughput is essential. 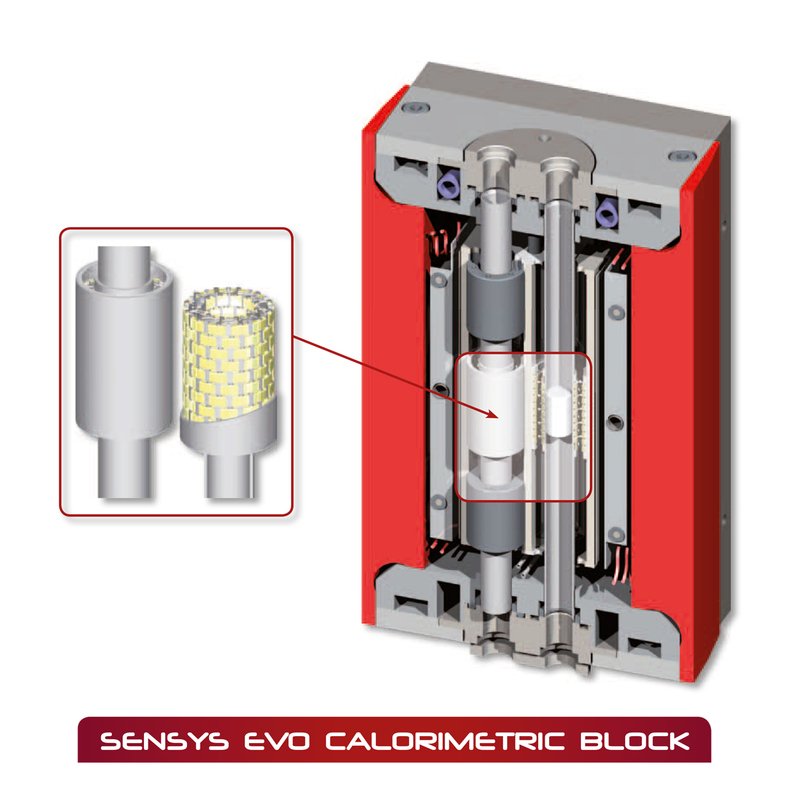 Vertical SENSYS DSC evo: the vertical configuration of SENSYS evo DSC is particularly suitable for studying the adsorption of gas on catalysts. 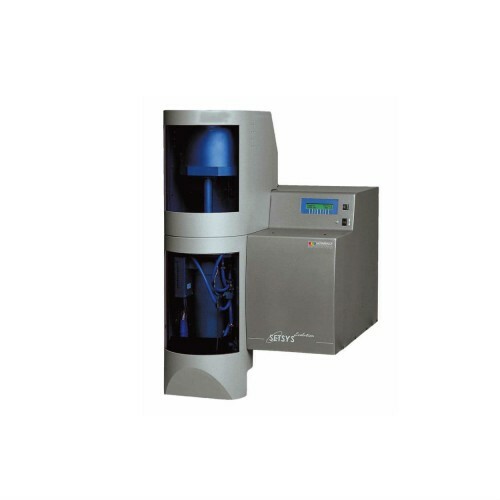 Using a specific silica reactor inserted into the calorimetric block, measurements on heats of adsorption are obtained with a very high level of precision. SENSYS TG-DSC evo: the unique 3D-Sensor can be combined with a symmetrical balance beam. The performances of the SENSYS evo TG-DSC result from the absolute symmetry of this unique system in which the TG and DSC transducers, which are mechanically independent, retain their specific characteristics. Adsorción de gases en catalizadores. Se utilizan dos modos: la adsorción continua de gas hasta que el catalizador esté saturado o la adsorción de gas mediante pulsos. En este último modo, se inyecta un pulso de gas reactivo en un gas portador. El gas no adsorbido se analiza a la salida del tubo. Por lo tanto, el calor de adsorción se puede asociar con precisión a la cantidad real de gas adsorbido. Reacción gas-sólido en medio corrosivo. El tubo de sílica puede usarse para investigar tal reacción sin dañar el DSC.